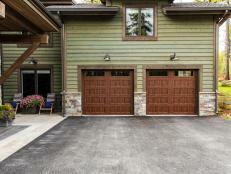 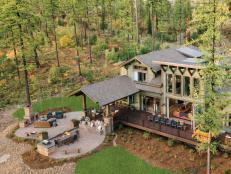 This modern, mountain retreat combines quality craftsman style timber framing and soothing rich colors to blend into the surrounding forest. 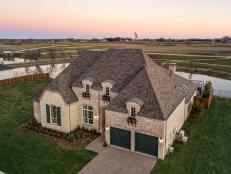 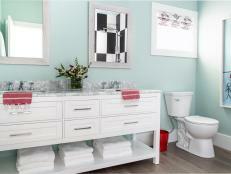 The upscale design invites relaxation in every detail. 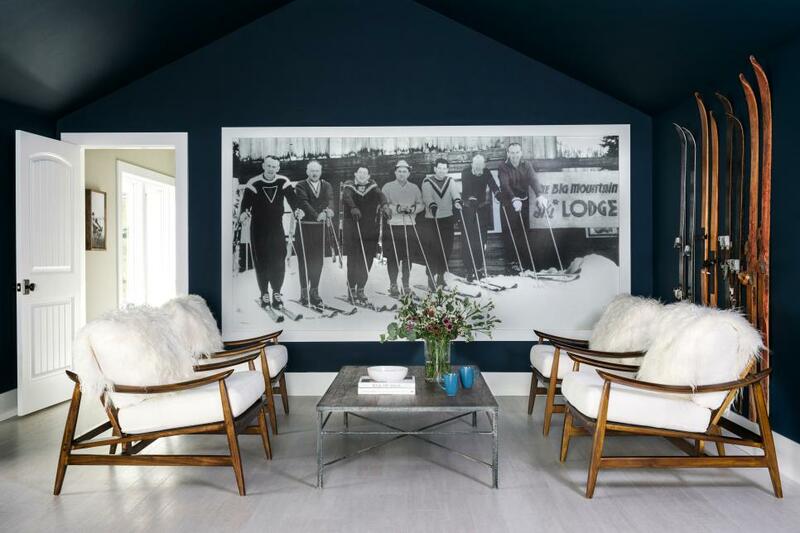 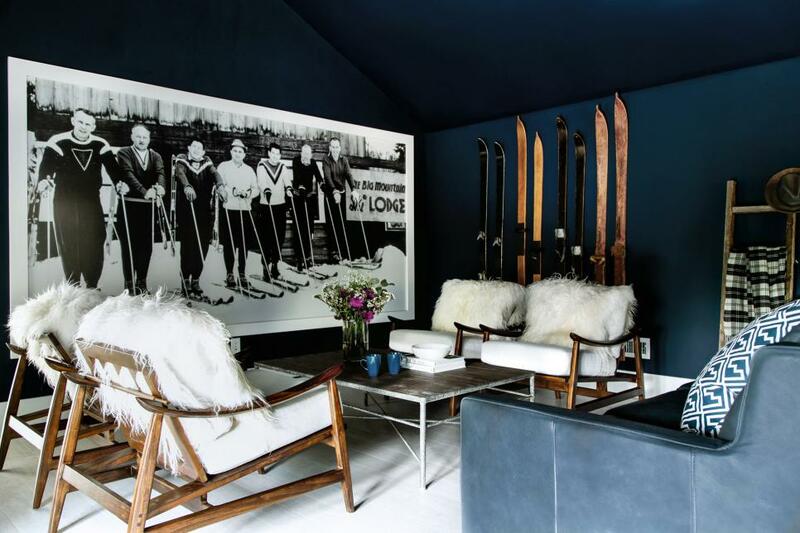 Dark navy walls and a gray floor provide a cool backdrop for the vintage photo of skiers on Whitefish’s Big Mountain to create a stunning backdrop for the sitting area in the lodge-style bonus room. 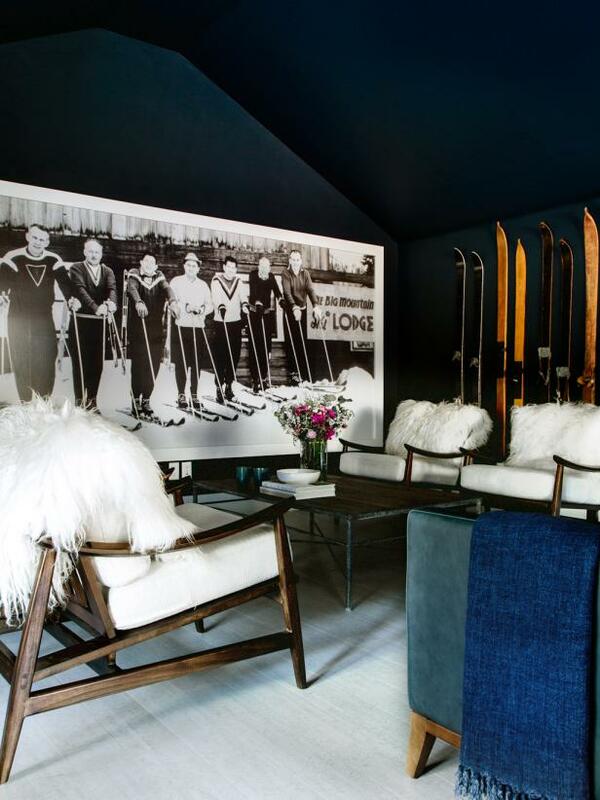 Plush sheep-skin pillows add warmth and comfort to Mid-century style wood chairs for a retro-cool vibe in this stylish seating area. 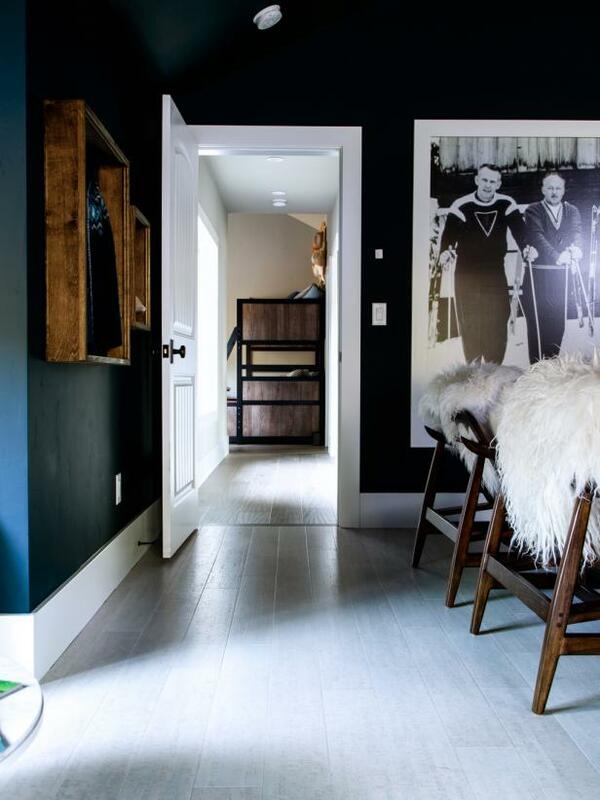 Mixing dark wood Mid-Century style chairs against gray-washed wood floors feels fresh and modern in this multifaceted room. 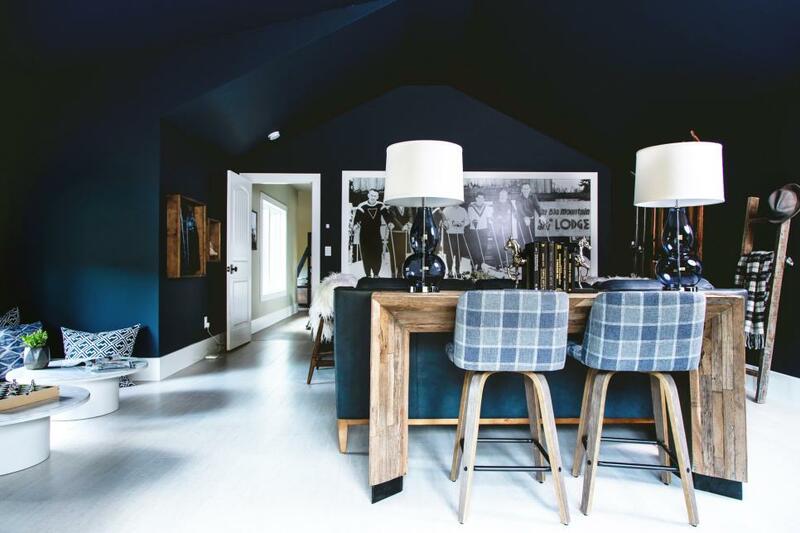 Side chairs in a handsome gray plaid transform this reclaimed wood console table into a bar or table space at a moment’s notice. 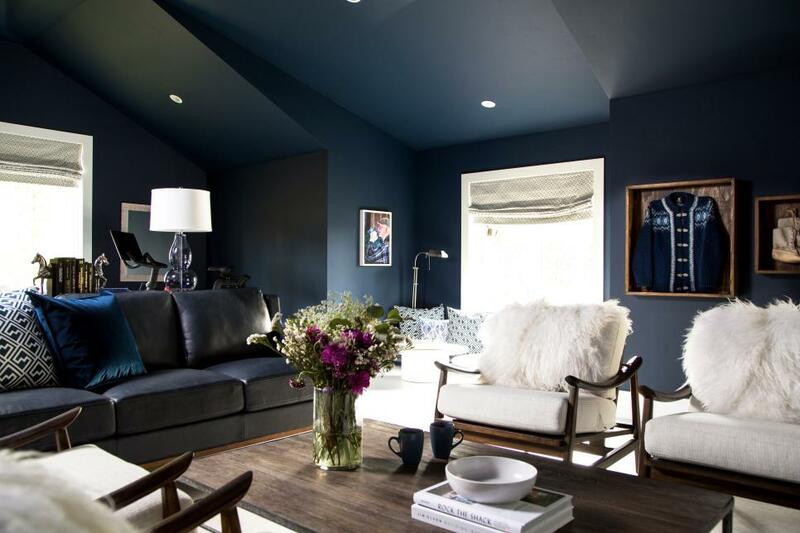 Vintage style lamps in blue pick up the cool tones found throughout the room while plush blue throws add warmth to the seating area. 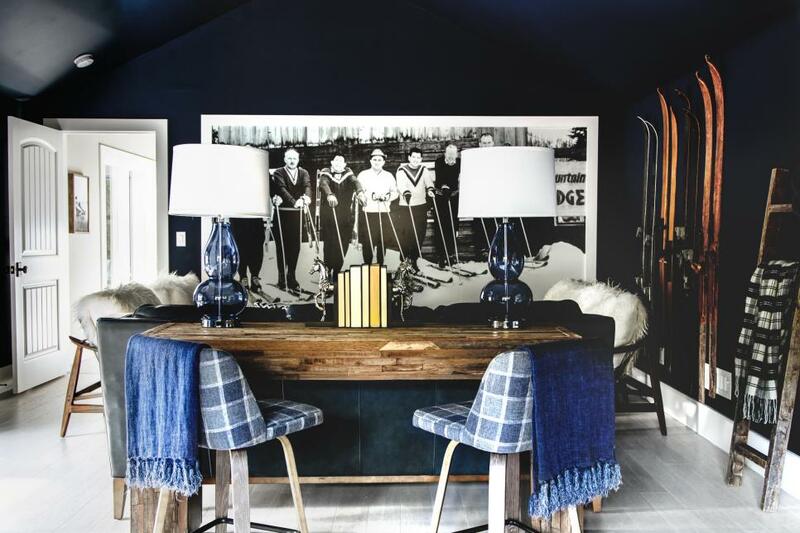 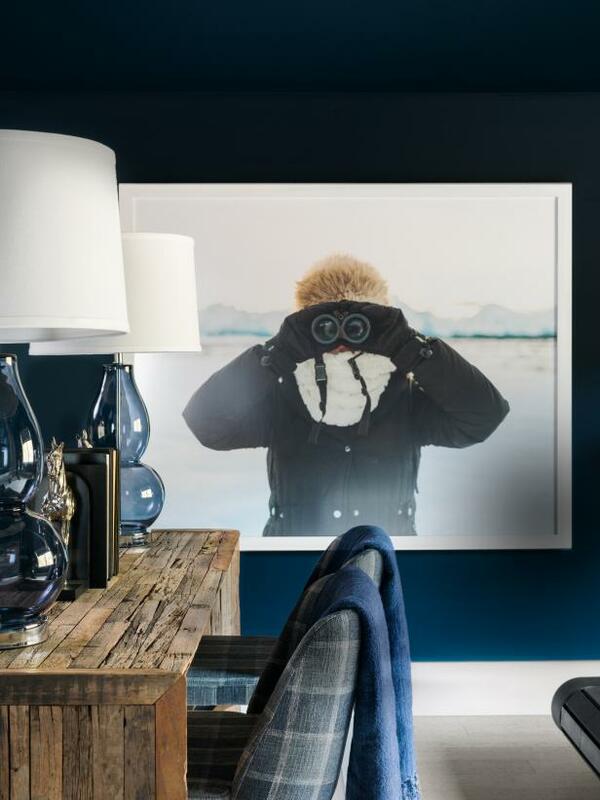 Rustic wood textures on the behind-the-sofa console table add lodge-style charm to space while the historic ski photo brings a sense of place and character into the room. 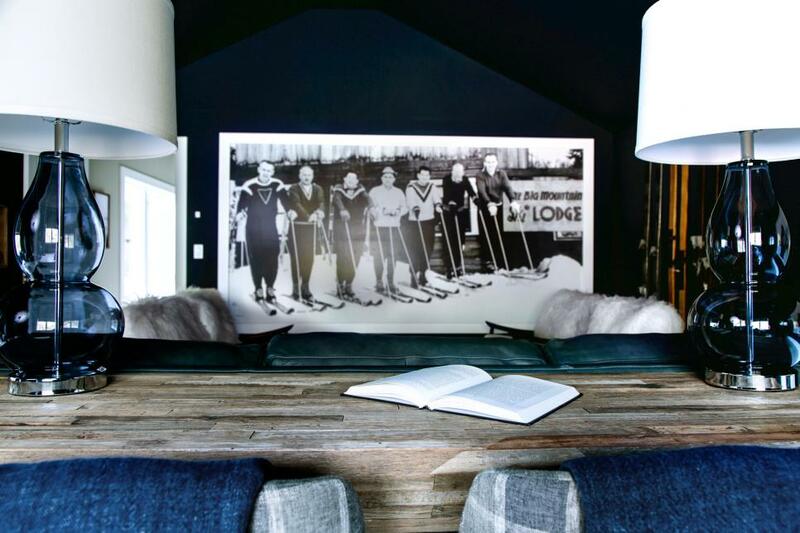 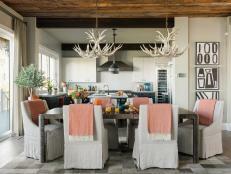 A large photo print captures the adventurous spirit of Montana and brings rugged, outdoor charm into this modern take on a personalized mountain lodge. 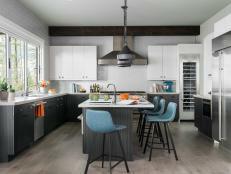 Gray-washed floors keep the room from feeling too heavy and connect the bonus room lodge to the rest of the home’s mountain modern style. 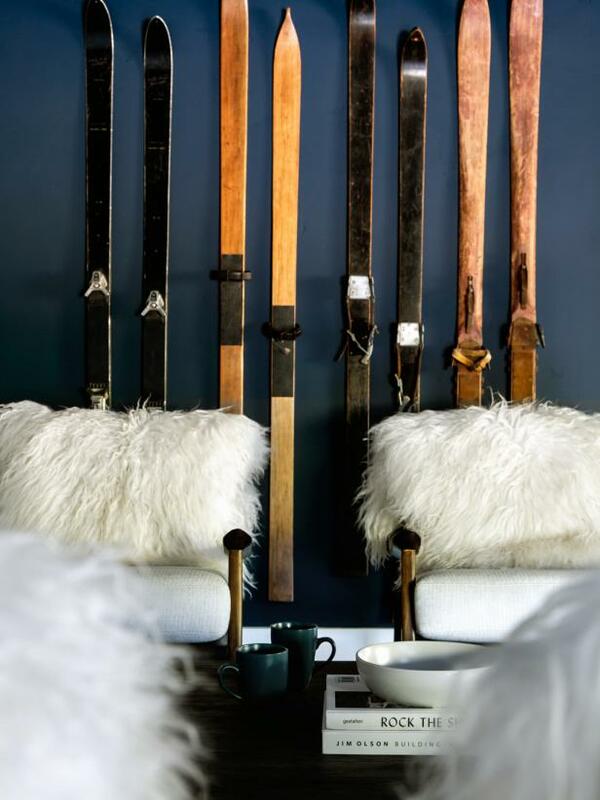 Soft textures like these sheep-skin pillows bring the beauty of nature into the style of this relaxing retreat. 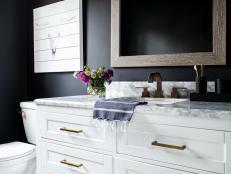 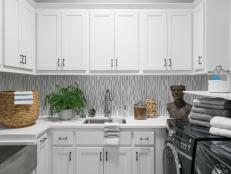 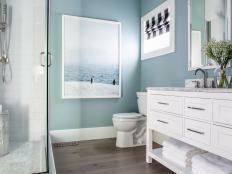 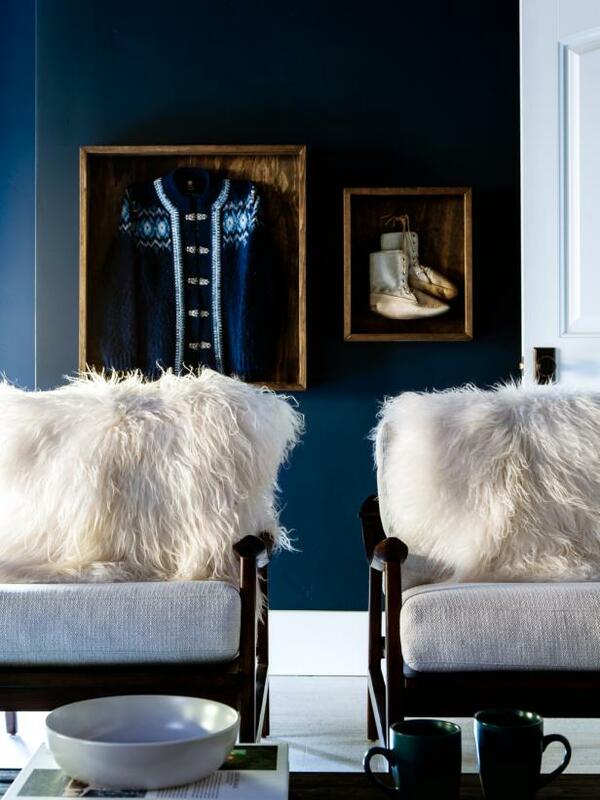 Using pops of white against the dark blue and wood tones echoes the color palette of Montana’s snowy winters. 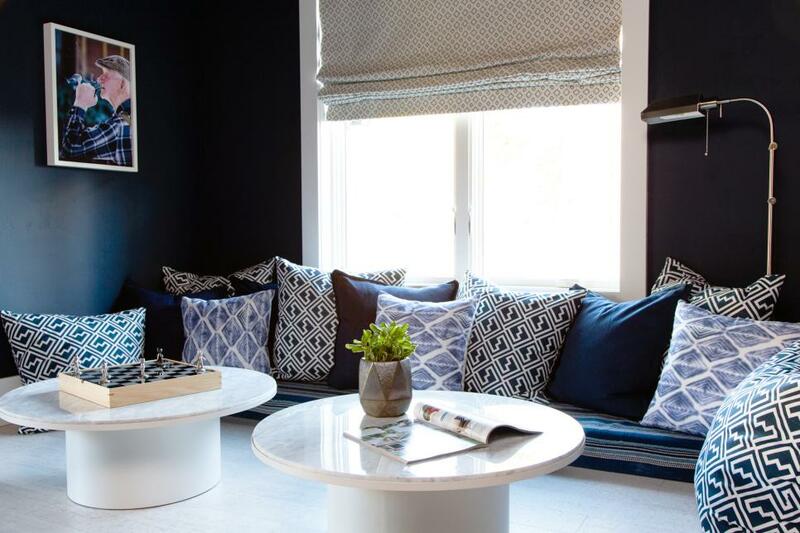 A mix of pillows in blue and white turn this window seat into a plush lounge with the addition of matching white Carrera marble tables. 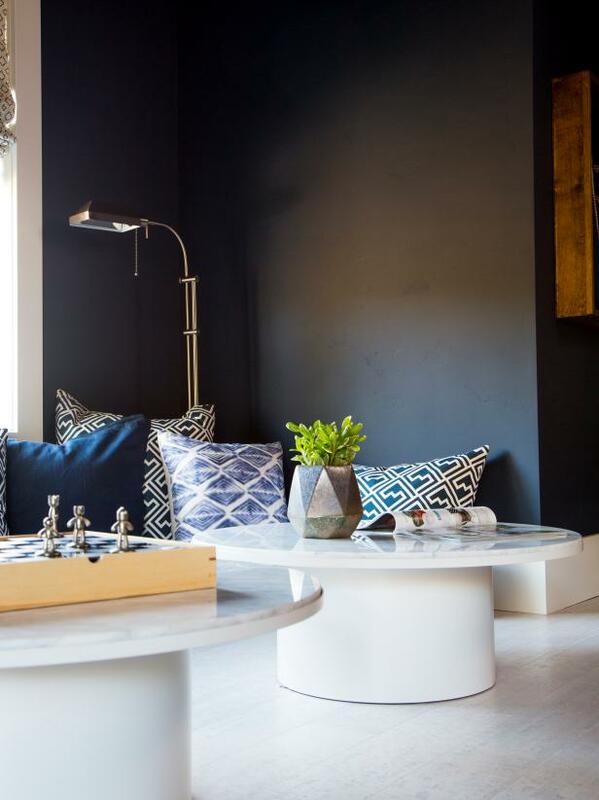 The relaxed lounge area is the perfect spot to play games or unwind with a good book. 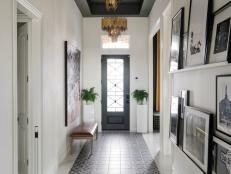 White matching tables and trim pop against the dark navy walls for a classic style that feels timeless and accessible. 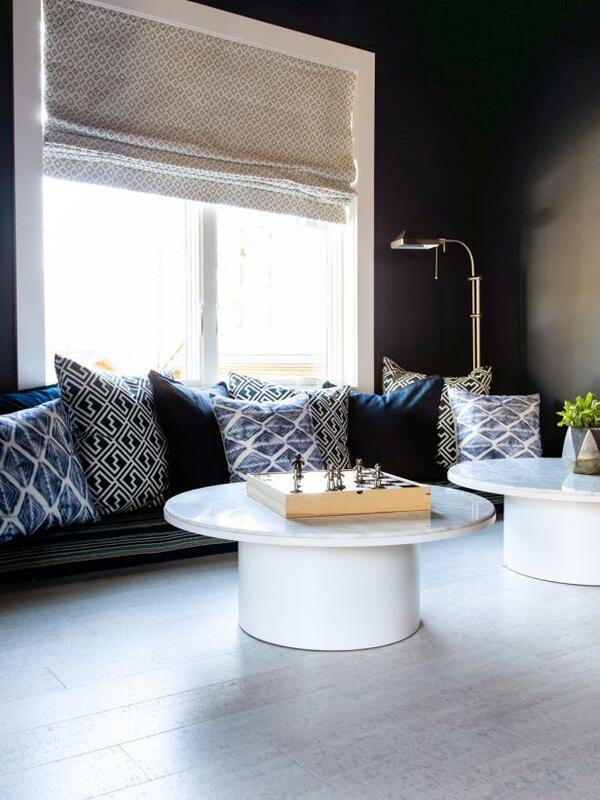 Geometric patterns from the pillows to the circular tables and geometric pattern add texture and unify the room’s unique seating areas. 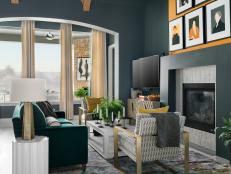 Gathering a mix of Mid-Century-style chairs in a neutral upholstery with a gray couch around the rustic wood coffee table creates an easy gathering spot to connect and recharge after a day of mountain adventure. 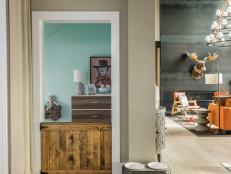 Fitting in a workout is easier than ever with this mini-fitness area at the far end of the room. 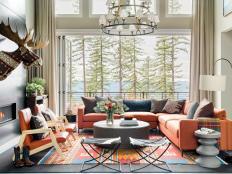 The large window brings in natural light and provides epic mountain views for indoor workouts. 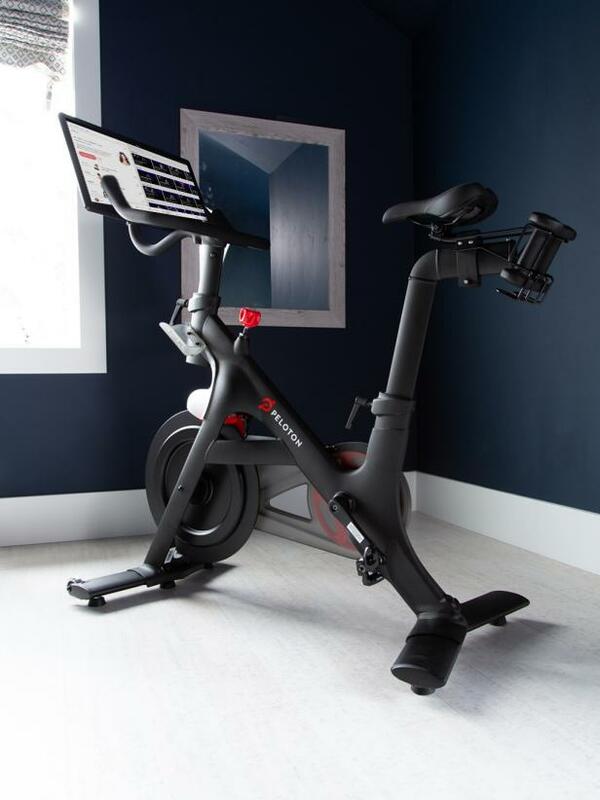 A sleek bike brings modern style to your daily workout and transforms this corner of the lodge-style bonus room into your own at home fitness studio. 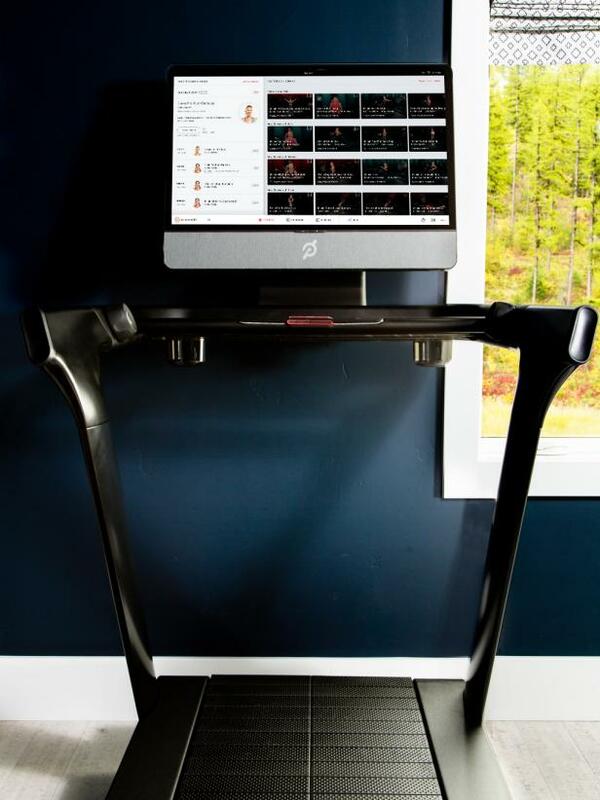 It’s easy to enjoy the natural beauty of the mountain west from the seat of your stationary bike next to a large, expansive window. 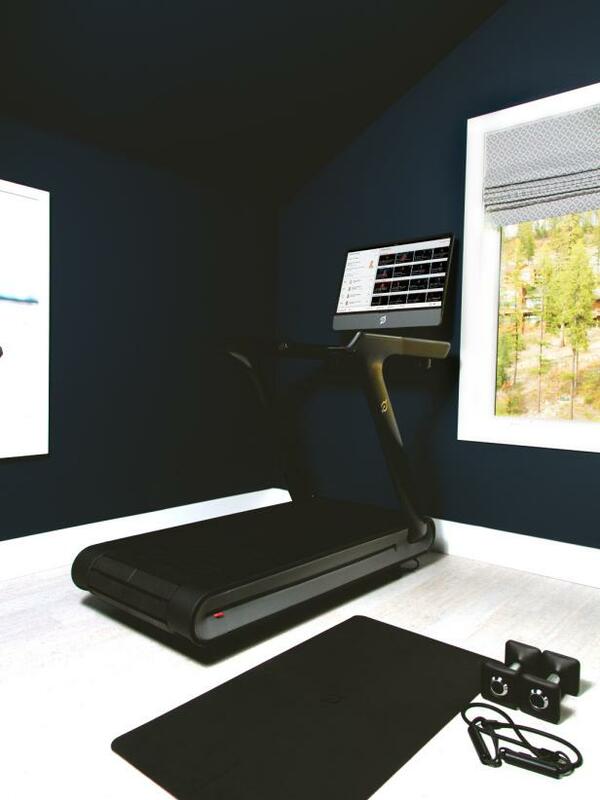 Even when the weather is a wintry wonderland you can still fit in a daily workout with this at-home fitness studio that includes a treadmill, weights and a sleek fitness mat. 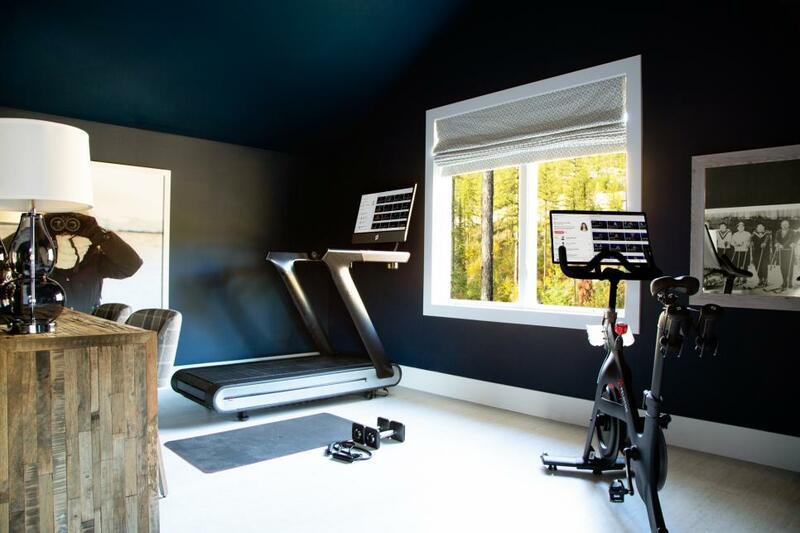 Running just got easier with a view of the mountains or your favorite movie within easy reach on this state-of-the-art treadmill. 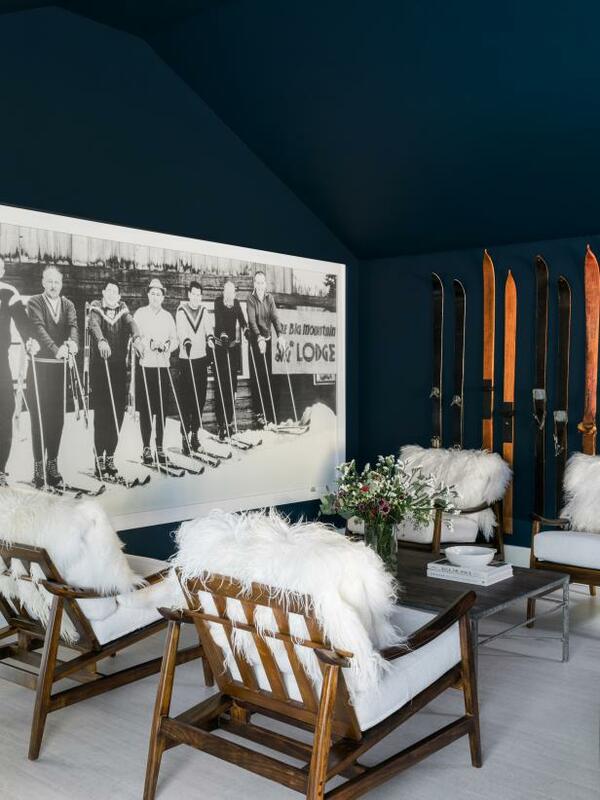 Whether relaxing at the end of an epic day skiing or gathering with friends and family to relax and recharge, this stylish lodge-style bonus room is sure to please with ski charm incorporated into every inch.